Technology is everywhere, yet few of us are in a position to take advantage of it. Learning programming can help you save time, automate tedious tasks, sharpen your mind, and advance your career. With Python Principles you learn the basics of programming today and apply your skills tomorrow. Learn programming by actually programming. 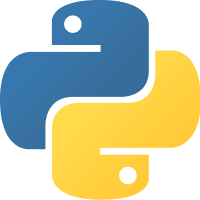 With Python Principles you learn concepts through practical lessons, and then master them with practice and challenges. 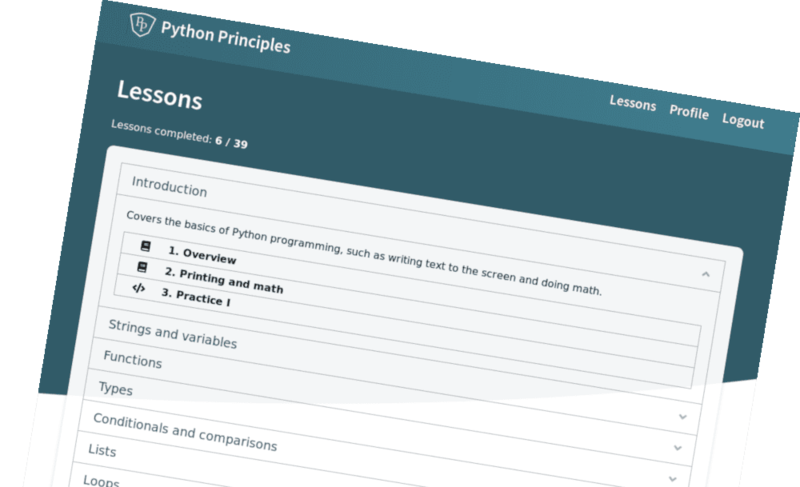 "This is the best platform I've seen for getting the basics of Python down." Christopher learned Python to automate his daily tasks as a system administrator. The fastest way to learn any skill is with rapid feedback. Ideally an experienced programmer would provide this feedback, telling you right away whether your code is correct, and if not, how to fix it. Our automated system takes the place of this programmer, analyzing your code, checking it for correctness, and providing instant feedback. Acquire knowledge through examples, definitions, and hands-on experimentation. Master your new knowledge with practical exercises. Test your newly acquired skills with intriguing coding challenges. 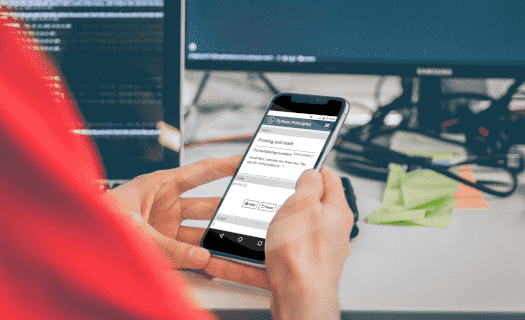 With clear instructions, practical exercises, and immediate feedback, anyone can go from non-technical to knowing how to program. "You can definitely jump in and just get started writing code, learning as you go." Join thousands of Python learners today!